Cooking for my monthly challenge, 30 Days of Slow Cooker Recipes, has been fun. I love creating recipes. What has made it interesting is visiting with my daughter and her family and trying out the recipes in her huge seven-quart KitchenAid appliance. Seven quarts of food swallows up the amount my little round slow cooker makes. The other interesting factor of cooking the slow cooker meals at my daughter’s place is I’ve been taking a chance by trying out different recipes for four people. Although we all like several of the same foods, there are differences. A couple of the recipes had pasta that turned to mush – but they were not in vain. My little granddaughter that eats baby food and now some table food really liked them. One of my favorite new recipes I tried this month is the chicken spaghetti. Oh my! Wow! It’s SO good, and I’ll definitely be making it again. The only drawback was that I forgot to serve the salad like I had intended. You can only handle just so much carbohydrates. I even had the salad in the frig. 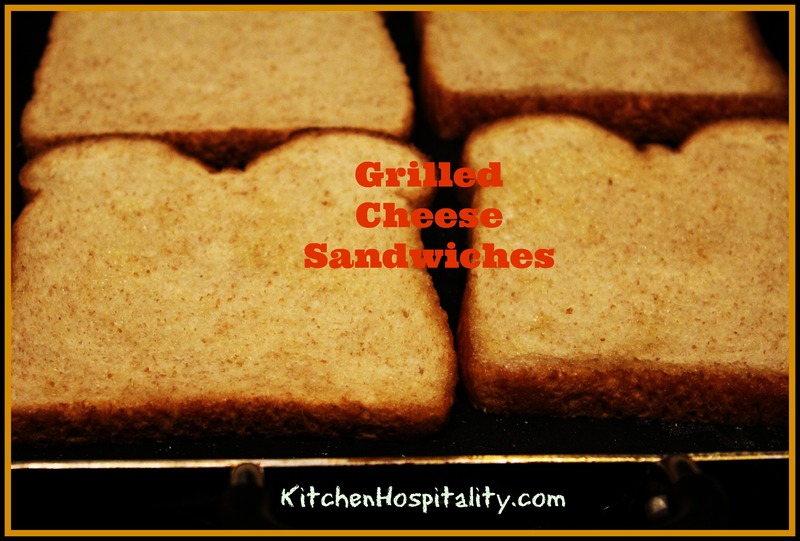 What kind of sandwich did you make for National Grilled Cheese Day on Tuesday, April 12? I didn’t realize until today that I missed it, but I made up for it at lunch for my two little granddaughters. Like their Grummy, they love grilled cheese sandwiches. I read on one of the grilled cheese sandwich recipes I saw on Pinterest that covering the sandwiches while cooking makes them creamier so I tried it. I’ve never covered mine before. They turned out great. I used grated Mexican cheese and cooked mine on a griddle on the stove. I missed out on cooking the sandwiches on their special day, but I did cook the wonderful slow cooker chicken spaghetti with cheese. The spaghetti recipe includes Velveeta. I saw some recipes on Pinterest that I liked. Most that use Velveeta cheese indicate one or two pounds on the list of ingredients. Instead, I split my two-pound box of cheese into four different recipes. One was for the awesome chicken spaghetti. Another was a really different twist for Nachos (come back to read that one this Friday, April 15th). Place frozen chicken strips in bottom of slow cooker (enough for a layer to cover bottom of the pot). Cut Velveeta cheese in cubes. Mix cornstarch well in 1/2 cup water. Break spaghetti into small pieces. Put the remainder of ingredients in slow cooker. Cook 2 hours on low. I can’t wait to fix this yummy slow cooker chicken spaghetti again. If you decide to make it, tell me what you think. This recipe looks so good, I can almost taste it! Thanks so much for sharing with us at Full Plate Thursday. Have a great weekend and come back soon! 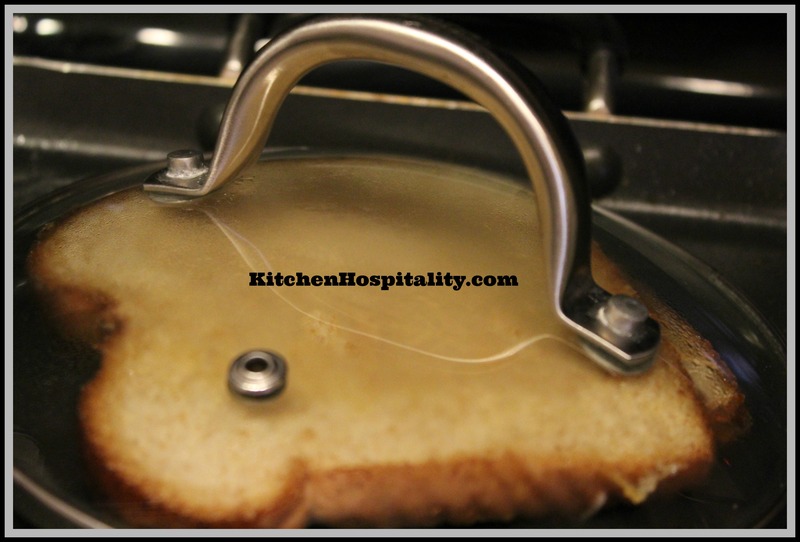 Miz Helen, this recipe is one of my favorites and tastes wonderful! Thank you. 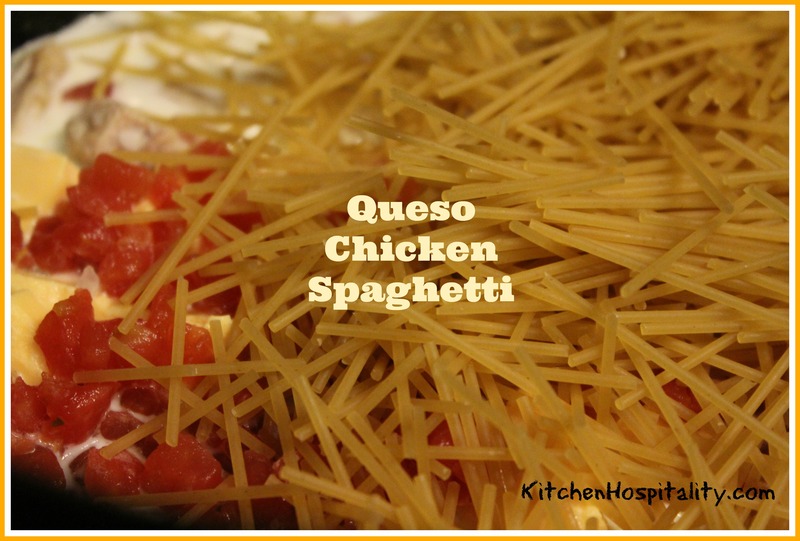 The cheesy chicken spaghetti looks very creamy and deliciously decadent. Did the spaghetti hold together well in this recipe? Yes, it did. If the spaghetti (or macaroni) is added the last hour, that seems to work the best.